Whether your business is an Internet-based enterprise, or your online presence is simply a gateway to your bricks-and-mortar operations here on terra firma, you will not see greater lead generation, enhanced opportunity conversion, or any of the other results your business needs in order to grow without providing informative, engaging information on your website. Now, some might argue that the deli that’s been operating on New York’s Lower East Side for over 100 years or the leading brand of children’s clothing for the past four decades are exempt from that statement of fact. But further exploration will reveal that those companies and, in fact, most highly-successful companies were among the first to provide their customers and fans with valuable and entertaining content online. As a result, these venerable firms have positioned themselves for continued success well into the 21st Century. So whether you’ve already enabled some degree of Content Marketing, or you’ve yet to get started, we’re going to provide you with a series of tips guaranteed to make your offerings more effective, or simply to introduce you to some initiatives that will boost your sales in ways you probably never imagined. First of all, throwing random, scattershot material up on your website or in your emails is going to yield a limited return on your efforts. A strategy for your content will increase its effectiveness exponentially, as long as you don’t forget that content is pretty much worthless without proper context. Secondly, if your content is not executed well –frankly, if it’s lousy- it will not only fail in its objective, it may actually hurt your business dramatically. Your primary means of communicating with your established customers and new prospects alike is most likely to be in the form of a blog or an email newsletter, so make sure you don’t forget to proofread before publishing. However, writers are human, too, and we all make mistakes from time to time. If you notice an error after publishing, don’t beat yourself up over it – it’s not the end of the world. Just go ahead and fix it. Regardless of whether or not your posts are immaculate in the grammar department, that’s not your only battle – it’s even more essential for your posts to be engaging. No Sale. First and foremost, do not turn your blog into a sales pitch or brochure for your products or services. That’s an immediate click-out for your site visitors. Remember, the goal is to provide information and resources to your prospective customers; to foster an acknowledged understanding of their specific needs. When you’ve earned their trust as a respective advisor, they will decide to make a purchase. Paint a Picture. Write about the kind of problems or needs for which your typical customer might require a solution. Give tips and advice as to how that solution might be implemented. If your company provides additional customer services such as an email or telephone helpline, by all means conclude each piece of content with that contact info or a link. You’ve Got Personality. If indeed you’ve got a natural, engaging way about you, and you’re able to translate that to the page, write some –or perhaps all- of your posts from a first-person perspective. This can be an especially effective means of communication if your products and services are of a personal, touchy-feely or do-it-yourself nature. But we’ve seen individuals who were so good at this –or hired someone talented to write their missives- they were able to make replacement machine parts seem warm & fuzzy. Maybe you started your business as an outgrowth of a hobby or a personal need or experience. Write about it. Maybe you’re excited about the ongoing discoveries you’re making that will be beneficial to others. Write about it. Be willing to share anything personal that’s pertinent and appropriate. Your customers and visitors will come to view you as someone they know and like. You may not become the next Rachel Ray or Ron Popeil, but, in essence, you will have become your company’s brand. Industry News. If the nature of your enterprise is such that people would be interested in reading about news and events in the greater realm at-large, make your website or newsletter a source that your customers will come to rely on for this information. This type of material, coupled with your commentary, can be featured in your blog, or simply as straight news items in your emails or elsewhere on your website. Guest Blogs & Interviews. 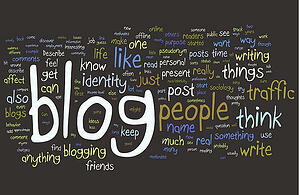 Take an occasional break from writing by inviting experts in your field to contribute a blog entry. This is also a great way to cross-promote with another site or business and share one another’s audiences. Do you have customers who write in with thoughtful, well-crafted comments? Invite them to guest blog—that’s an enormous audience-building measure. And if you find other people on the Web or in the real world that you feel have interesting, pertinent perspective to share, conduct an informal interview with them and post the Q&A on your site. No, we didn’t forget these. They should really be published in the form of a simple, good-looking email that leads the reader to your website. Include the first paragraph or two of your blog in the email and link to your homepage or Blog channel. Pepper the email with additional interesting factoids and linked teases for other features to be found on your site. Don’t miss our next Crash Course, Content Marketing Strategies: Tutorials/Videos/Webinars/Podcasts which will post on December 17th.